Emily Dickinson, born in 1830, was the granddaughter of the founder of Amherst College. Except for a few journeys when she was young, Emily lived the life of a recluse in her father's house, spending her days writing poems and letters. In 1862, she sent a few of her poems to a publisher. He replied that her work was too unusual, too different. This was her first and last attempt to reach the public ear. From then on, she bound her work in small hand-stitched collections that she kept in her bureau drawer. After Emily's death in 1885, her sister discovered over a thousand poems hidden away in drawers and boxes. Although Emily's experiences were limited, her poems are profound, often playful, contemplations of life, love, nature, time, and eternity. Each exhibits her extraordinary talent for combining startling imagery and unexpected rhymes. 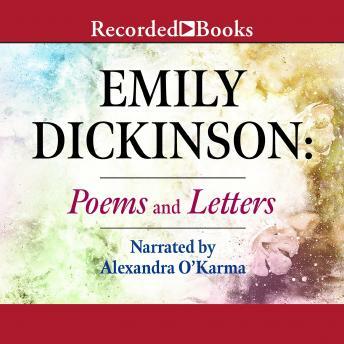 In addition to commentary and a selection of Dickinson's letters, this audioproduction includes 75 of her most treasured poems.